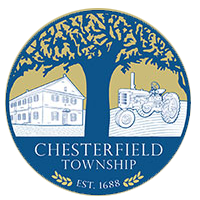 The Chesterfield Twp. Police Department has an active role in the education and fight against drugs, alcohol, and tobacco within our community and school system. Chesterfield Twp. Police provide an on-going education and prevention through our STAR program at the Chesterfield Elementary School. Our STAR program is taught and guided by Ptl. Kevin Pypcznski, and focuses on the students of the 6th grade. Our STAR program is designed to not only teach the students about the drugs, alcohol, tobacco and the effects on the body and mind, it’s designed to help them make the right decisions leading to a healthy and productive life style. The program challenges the students to think “outside the box” when confronted with the situations of peer pressure and the possible association of drugs, alcohol, and tobacco. The program teaches the students to STOP, and THINK before making any decision that life brings. The students are coached on having the ability to weigh out the consequences that certain decisions can have and who will be impacted in the present and future. The Chesterfield Twp. Police Department strives to continually further educate both the school and community on the ways to combat and prevent the use of drugs, alcohol, and tobacco.